One of the hottest trends in hair care is natural hair masks and hair rinses that you can make from basic ingredients found in most kitchens. After all, why spend $$ or $$$ on a bottle of fancy conditioner when you can make an amazing one from products that cost pennies? Below are recipes I've gathered over the years for various hair types, including dry, damaged and oily. Feel free to review them if you try them out. These recipes below are great for soothing and repairing cuticles damaged from chemicals, hair tools or UV rays. They work on all hair types. Hydrating ingredients that work to fix dry hair include avocados, bananas, egg yolks, maple syrup, rum and sunflower oil. I recommend applying masks to dry hair and putting a shower cap over hair for at least 15 minutes for each of these treatments. Check out this recipe using coconut oil, brown sugar and essential oils: Make Your Own Hair Conditioner. I am wary and I mean very vary of shampoos these days because sulfates, the chemical in shampoo that causes them to foam up into delicious bubbles, is also touted to be dangerous (see my list of the best sulfate-free shampoos). I was wrong. Find out what happens when I try this shampoo and vinegar rinse and get the recipe yourself. Homemade dandruff remedies are much better for your hair and scalp than the chemicals typically found in dandruff shampoos. 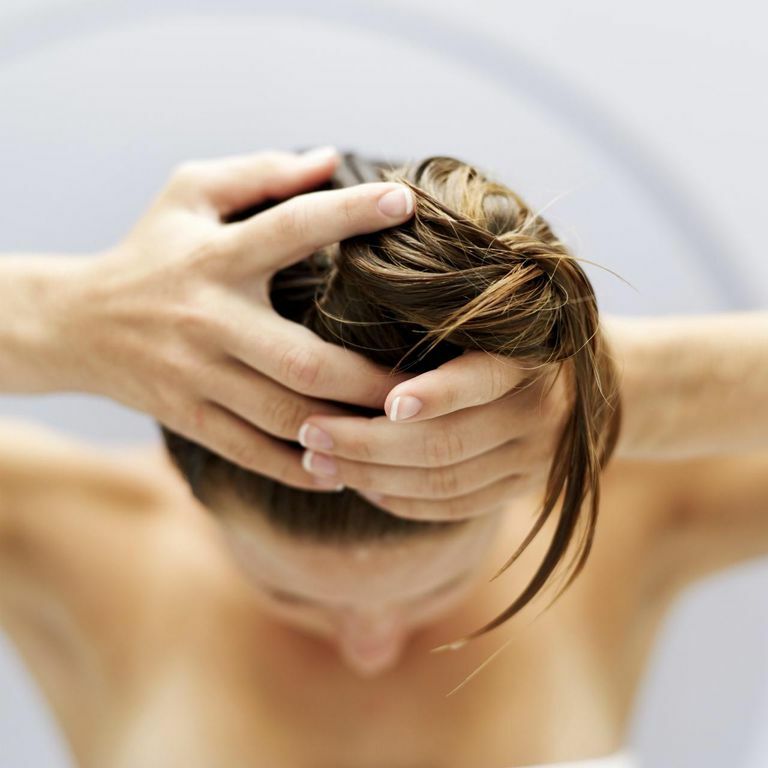 This homemade dandruff recipe is a two-punch system. First, you use flaxseed oil, then you follow with apple cider vinegar which is great at fighting yeast and bacteria. Loved these recipes? There's more! Anyone with blonde hair knows chlorine can turn your hair green, but did you know it's bad for all hair, drying it out and ruining even your natural color. Instead of buying a special shampoo for swimmers, all you need is a simple apple vinegar rinse.